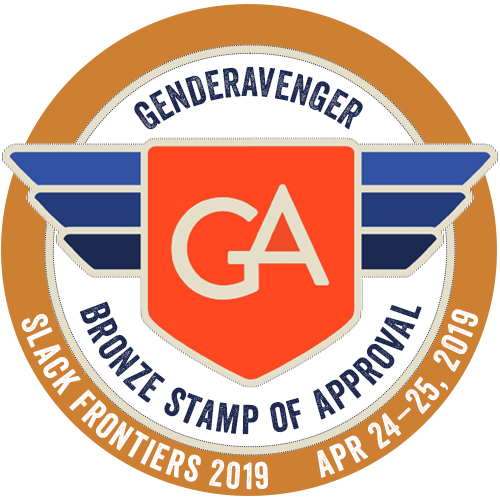 In 2018, we called out the Slack Frontiers San Francisco conference for the poor gender balance of their speaker lineup. They listened and turned things around, ultimately earning a GenderAvenger Bronze Stamp of Approval. Guess what? They’ve done it again! 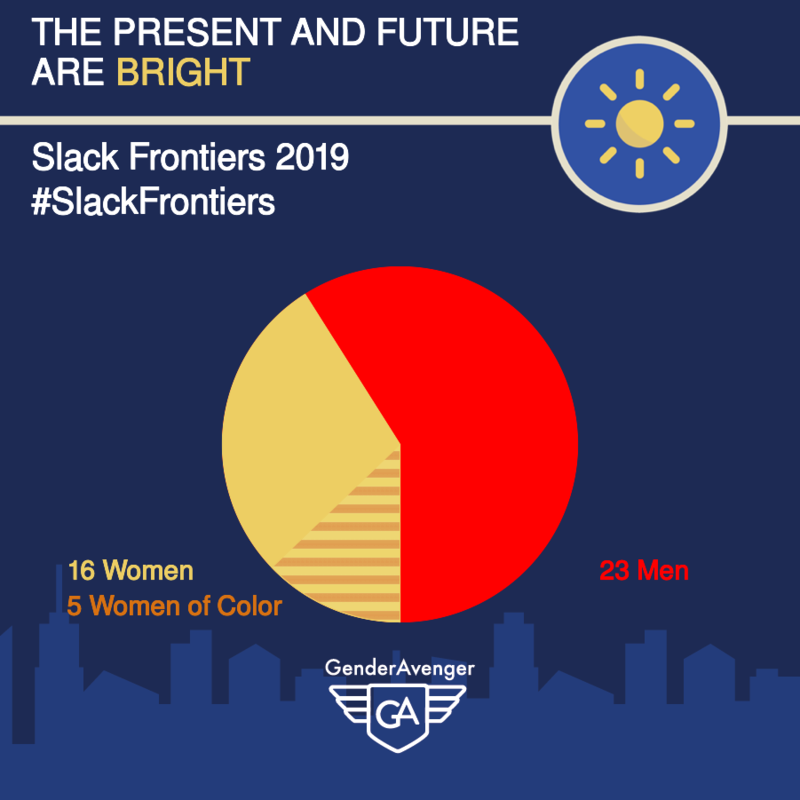 The speaker lineup for Slack Frontiers 2019 is 59% men and 41% women, 31% of whom are women of color. Dare we hope they add 3 more women of color so we can award them a silver?